Are you starting to feel a little cramped inside of your home? Do you think it’s time that you increased the floor space you have available? There are a number of things you can do to accomplish this, including finishing off your basement or construction a home addition. But, there’s another space that you should consider for increasing your available floor space, and that’s your attic. While you may only think of your attic as a space where you store boxes and belongings you no longer have any use for, with a little bit of elbow grease an attic can be turned into a truly functional and attractive living space. To show you what we’re talking about, we’ve collected 26 examples of absolutely amazing finished attics. Some of them have been converted into play spaces for children, others into master bedrooms, and even some into game rooms and entertainment centers. When you see what the possibilities are, we think you’ll be truly inspired. 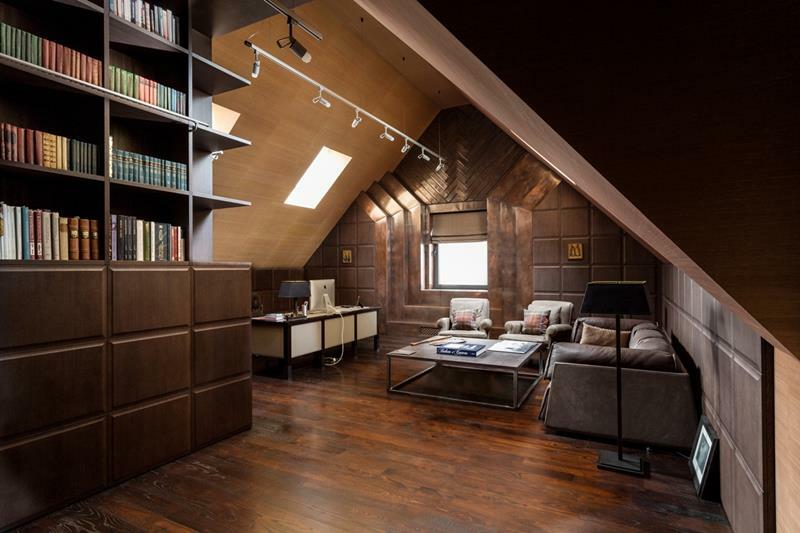 So why not take a look at these amazing finished attics and put some consideration into whether or not you can do something similar within your home? The odds are that you can and that you’ll be impressed with the result. 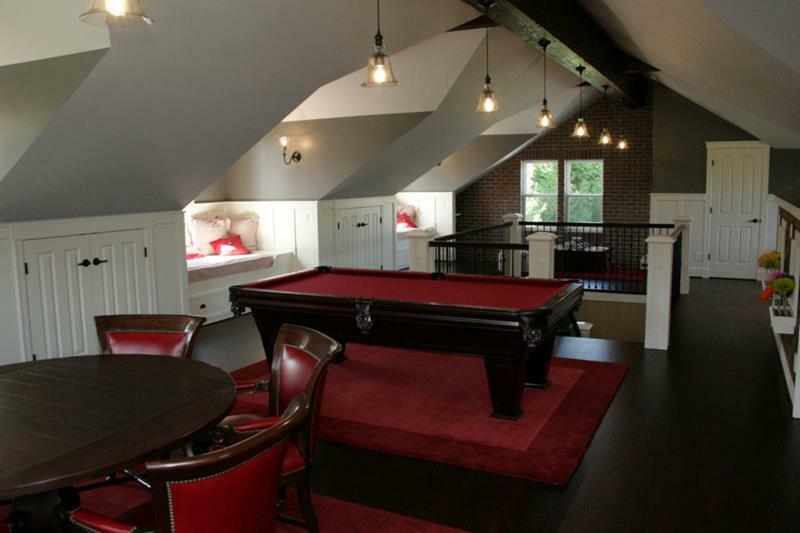 This homeowner has decided to finish the attic in order to create a fun pool room with poker table. 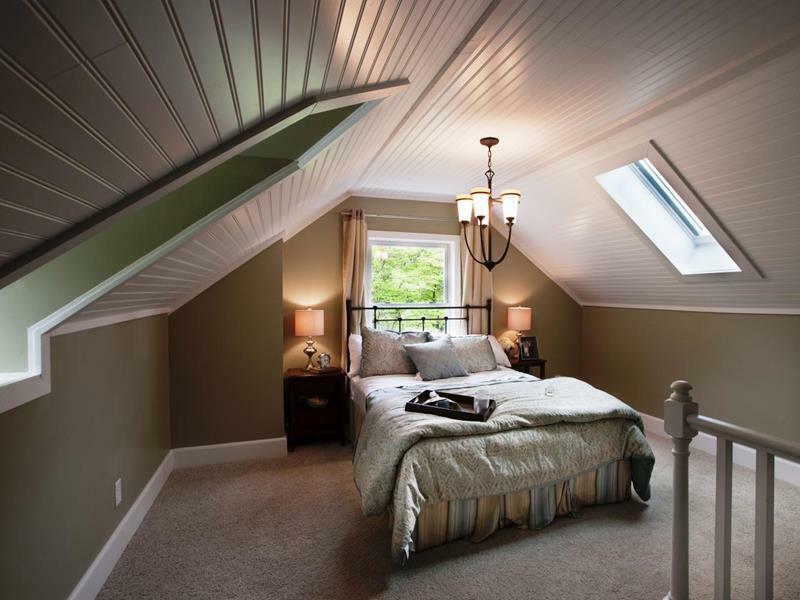 If you need to add another bedroom to your home, the attic can be an excellent place to create a cozy one. 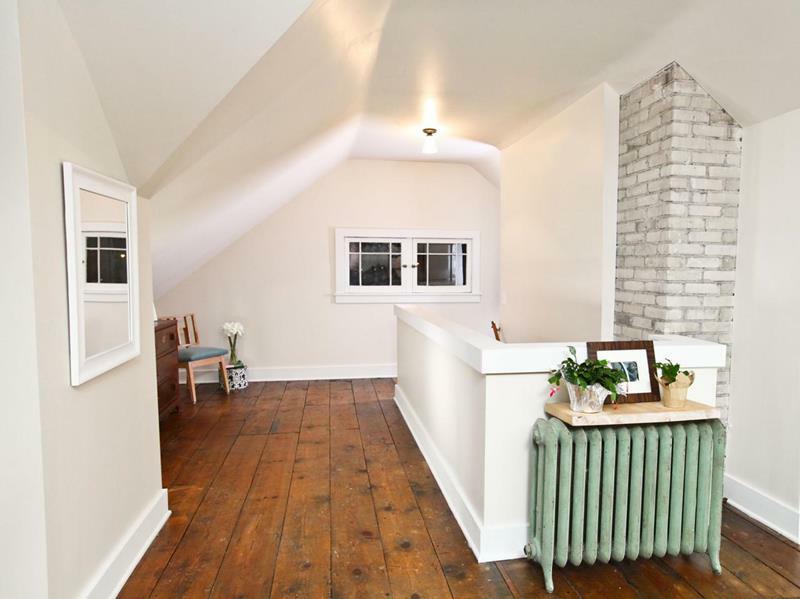 Light can be a problem in a finished attic space, which is why going for a white and rustic color scheme like this could be a brightness solution. 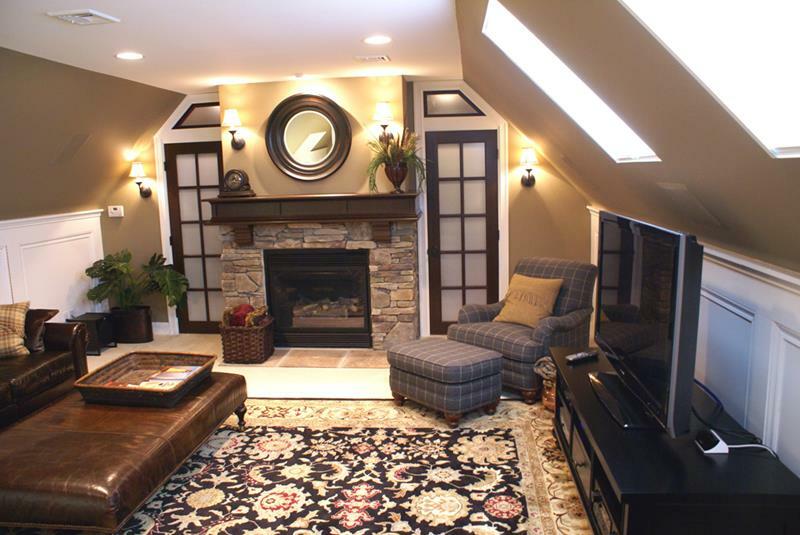 Your attic could also be converted into the perfect space for veggin’ out and watching television. 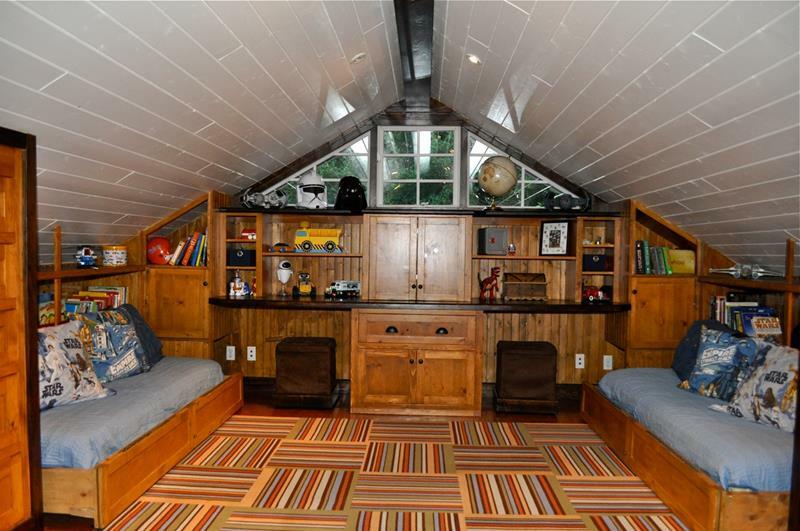 There’s no child that’s ever been born who wouldn’t love to have his or her bedroom in the attic.